This blog is consist of informations about me, my education, my universities, job job locations, company & about my research works & my published papers. 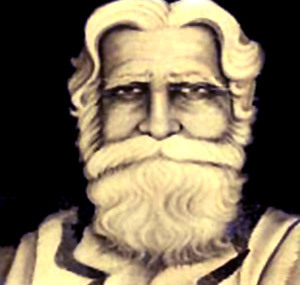 Susruta wrote his samhita, the most authentic text on the practice of ayurvedic surgery around the sixth century BC Susruta is, also, renowned as the father of plastic surgery. He represents the Dhanvantari School of surgeons. His samhita discussed in minute details on how to perform prosthetic surgery to replace limbs, cosmetic surgery on nose and on other parts of the body, cesarean operations, setting of compound fractures, and even brain surgery. Susruta's original work seems to have been revised and supplemented by Nagarjuna between the third and fourth centuries AD. This branch of medicine is believed to have arisen in part from the exigencies of dealing with the effects of war. Epic Ramayana, mentions remarkable feats of surgery having taken place in the past. We have reference to the transplantation of an eyeball and a head in epics. The style Susruta Samhita is both prose and poetry with poetry being the greater portion. This work, also, is said to be a redaction of oral material passed down verbally from generation to generation. This work is unique in that it discusses blood in terms of the fourth doshic principle. This work is the first to enumerate and discuss the pitta subtypes. Susruta details about 125 surgical instruments used by him mostly made of stones,wood and other such natural materials. The Susruta Samhita presents many innovations in ayurvedic surgery. Use of shalaka—meaning foreign body (here, rods or a probe etc.) is mentioned by Susruta. Some of the classifications found in the Susruta Samhita are not even traced by the modern medical science. It described five types of pterygium, and the prognosis it made about glaucoma has not been improved since. In fact he is the first surgeon in medical history who systematically and elaborately dealt with anatomical structure of eye. Susruta has discussed about 72 diseases of the eye. He has stipulated drug therapy for various types of conjunctivitis and glaucoma along with surgical procedures of the removal of cataract, pterygium, diseases of ear, nose and throat. The Susruta Samhita, besides being the most authentic text on practice and theory of surgery, is also the most commonly quoted text on health. I cpmlete my B. Pharma(ay) from Jadavpur University at 2011, & M. Pharma(Ay) from Institute of Medical Sciences(IMS), Banaras Hindu University(BHU) at 2013. Then I started my job life from Walton & Co., Kolkata in May 2014 as Production Chemist, I worked there for 4 months, then I went to United Herbal Drugs, Mangaldai, Darrang, Assam in Sept, 2014 as Production Chemist & continued there till Mar, 2015. Then I returned back to Kolkata & took the oppertunity to work in Paharpur Ousadhalaya Pvt. Ltd. a merely 130 years old company manufacturing ayurvedic medicines since then as Production Chemist in Apr, 2015 & still continuing in that company. But within some days I will going to join as Pharmacist Ayurveda in ARRI, CCRAS, Ministry of Ayush, Govt. of India. I have 10 research articles published in different international journals & 4 articles in different national & international seminars.